Latchkey kids or latch key children refer to younger students that return from school to an empty home because their parents are away at work. To help parents monitor the safety of these children, Database Systems Corp. (DSC) has developed an automatic calling program that checks in on these children. DSC has been in business since 1978 and is a leading developer of call processing systems. This technology is ideally suited for certain community service programs and applications. One such program developed by DSC is called CARE (Call Reassurance). 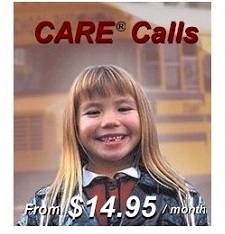 The CARE telephone reassurance phone system calls seniors or children alone at home to ensure their well-being. CARE phone systems have been acquired by law enforcement and community service organizations throughout the country, primarily to check on the welfare of seniors, but also to check on home alone children. DSC provides phone systems, but also provides individual calling services for parents who wish to enroll their child into our automated calling program. DSC also provides a calling service for groups within a community that wish to provide this service to their community members. 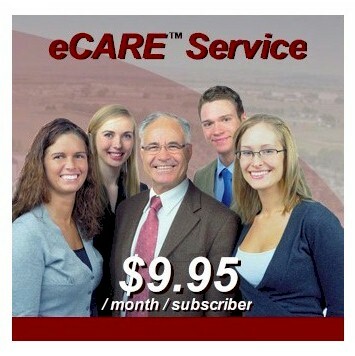 This service is called eCARE. Contact DSC to learn more about our CARE latchkey children calling services and phone systems. The latchkey children calling program simply calls your child (on the days and times you specify) and greets your child with a recorded message. The child is instructed to "Press 1" to acknowledge the call. If after several attempts the child does not answer the phone or acknowledge the call, our program will automatically call you, playing an alert message, and send email alerts as well. Two contacts can be designated and CARE will call each one until the call is acknowledged (for up to 1 hour). CARE provides a complete log of activity including the status of each call as well as schedule changes. DSC provides an easy and secure sign-up procedure (For a quick overview, please visit the registration information web page). Everything can be done using our Latchkey Kids website. Online Enrollment - Sign-up online using our secure website. 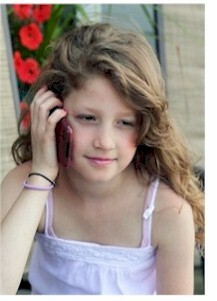 Child's Profile - Specify your child's profile (window of time to make calls to your child). Name Contacts - Identify who we need to contact if we can't reach your child. Secure Payment - Choose one of several enrollment and payment options and pay online using Visa or MasterCard. DSC provides online and phone management of your account. This lets you view a history of the calls. You can also manage the dates and times for these calls including vacation days. Plus our service is performed automatically - there are no operators involved so we can ensure your child's privacy. eCARE� is an online service developed by DSC for community organizations or groups that wish to provide CARE services to their members. By creating an eCARE account, you can add one or more members to this account and manage individual schedules and call information as if you had your own CARE phone system. eCARE accounts are designed for groups who do not wish to purchase and maintain computers or lease phone lines. DSC does all of that for you. You can create and manage a community organization eCARE account for free using our online registration process. With this account, you can enroll children and other community members using various different profiles including home alone children calls. Individual members of this community receive special discounts when enrolled through a single eCARE account. Telephone Reassurance Calls - single and multiple calls per day. Medication Reminder Calls - single and multiple calls per day. Home Alone Children Calls - check up on children left at home alone. Click on the Create eCARE� Account link below. Enter your organization's name, a valid email address along with your own password, and we will establish your eCARE account. eCARE can now be used as your primary calling program for seniors in your community or can be a backup to any other system that is currently making these calls. eCARE is a pay-as-you-go service and you only pay for the calls that we make. Contact DSC to learn more about our CARE latch key child services and phone systems. are Trademarked by Database Systems Corp.